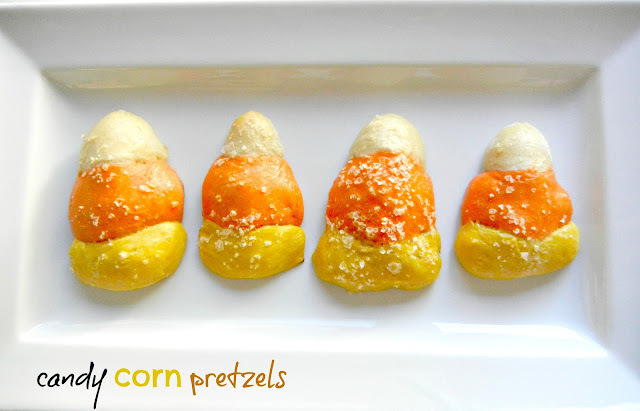 Candy Corn Pretzels from Sugar Swings! If you are looking for a fun way to bring some candy corn color to your house this Fall, check out the recipe for these candy corn pretzels. You could make them sweet to go along with the candy corn shape, but we are big fans of plain soft pretzels and these would be perfect just the way they are. You can check out these candy corn pretzels over at Sugar Swings!